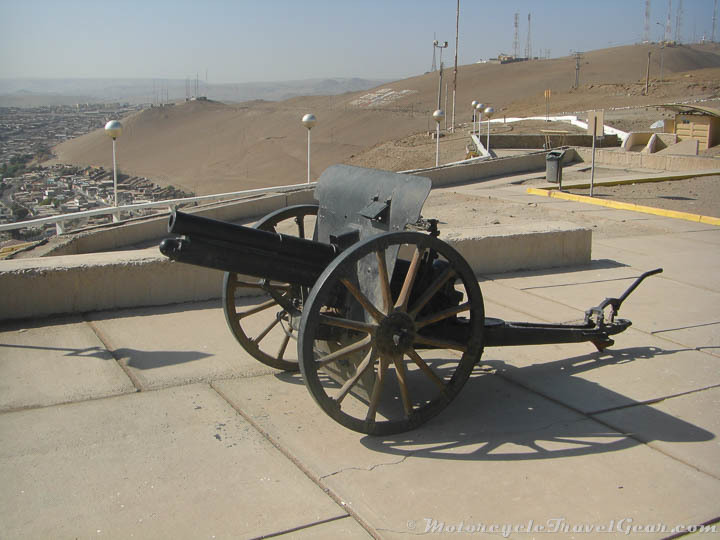 Chapter 6: March 31st, Arica, Chile. 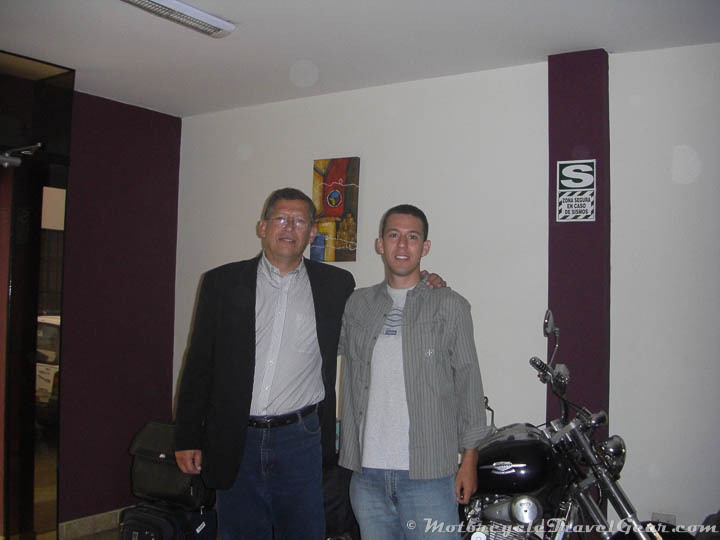 After sleeping off the previous day’s long ride, I awoke early to meet my dad who had just flown in from Lima for business. We had breakfast together while he told me the latest news from home and I shared with him the few happenings on the road so far. Afterwards he took off towards the small town where he would be stationed and I continued my way further south. I had accomplished my first objective on the trip: reaching Tacna in time to meet up with my father. 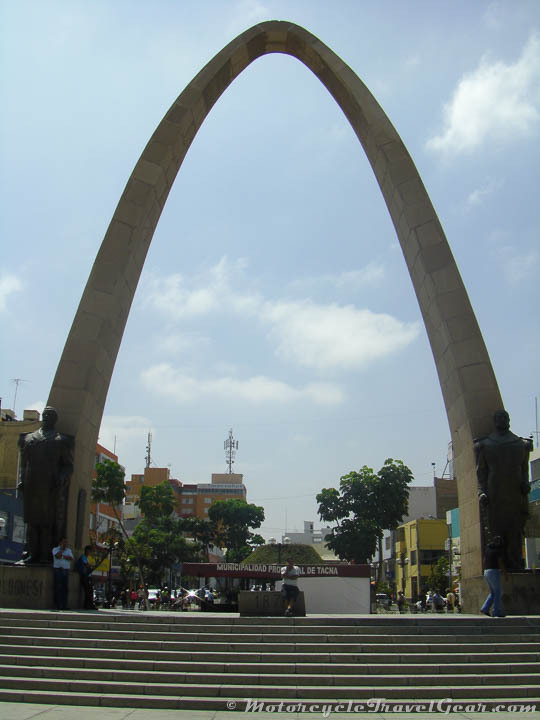 I spent a couple of hours walking through downtown Tacna. I had been here several times before but had never taken the time to appreciate the Arco de los Héroes (Heroes’ Arch), the Main Fountain, and the Cathedral. It’s funny how many things you walk past on a daily basis don’t catch your eye until you stop to really look at them for a while. I left the city and reached the border with Chile in no time at all. 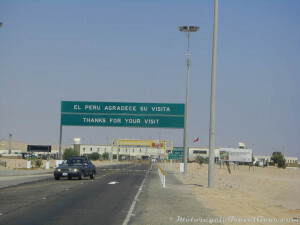 I spent a good deal of time simply being confused since there was no apparent order for the border crossing process. 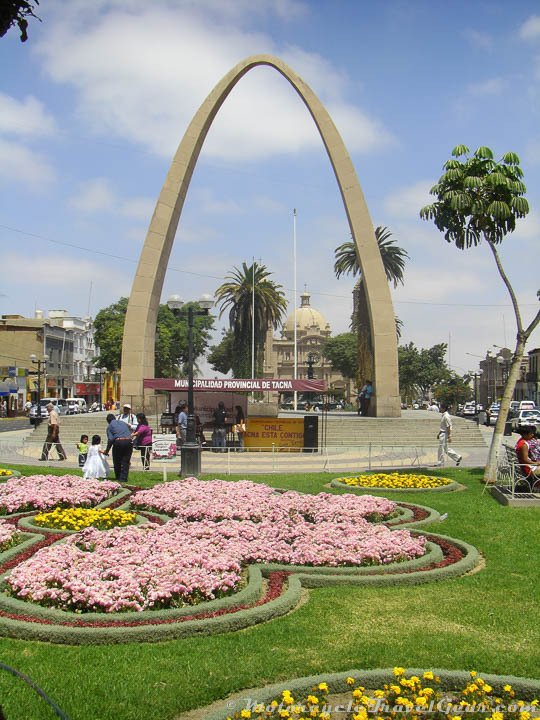 People from Tacna in Peru and Arica in Chile come through here with such frequency that everyone around here assumes all people are familiar with the documents and procedures. 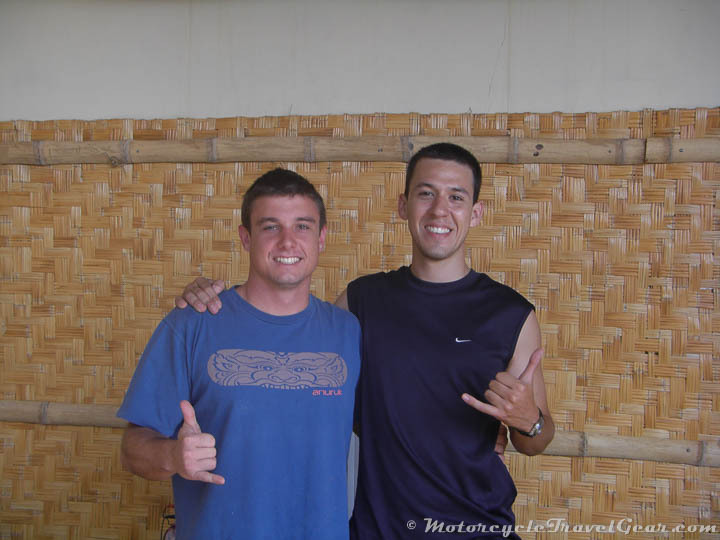 If you’re going to cross with a vehicle, you’re going to need the Relación de Pasajeros (Passenger List) and the Immigration form properly filled out. You then stop by the police checkpoint, followed by the immigration agent. Once you get all your papers stamped you head on over to the Chilean immigration side where you’ll receive even more papers to fill out: Customs Declaration Form, Temporary Vehicular Import Form, and Entry Record. On top of this I also had to completely unload the bike to have all my bags checked by an X-ray machine. All that was missing was for them to ask to check each individual piece of luggage and go through my things. This, luckily, did not happen. Once I had all my papers signed and sealed I was allowed to continue with my journey. I rode past an empty checkpoint station and parked several feet ahead to fasten my scarf properly since it was also doubling as my protection from swallowing roadside bugs. As I was doing this I saw a Chilean officer frantically waving for me to come back. That’s weird. Did I drop something? I turned back and spoke to the officer who asked me for my Passenger List (I realize the request was somewhat unnecessary considering I was riding a motorcycle but formalities are formalities). I told him the guards at the vehicle checkpoint held on to it but this guy insisted that I had to hand it to him. I backtracked once again to the previous checkpoint where the guard still had the piece of paper. He apologized for the mixup but just as he was about to stamp the slip he hesitated and looked up at me. Wait a second. 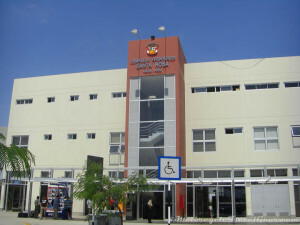 Have you already been through the Customs checkpoint? You’re missing a stamp here. You have got to be shitting me, I thought to myself. I made my way back through the whole thing a third time to get everything stamped and was then finally able to clear the checkpoints correctly. The needlessly long process came to a happy conclusion when I handed the stamped slip of paper to the officer that had flagged me down initially. Oh well, at least I was legally in Chile now. 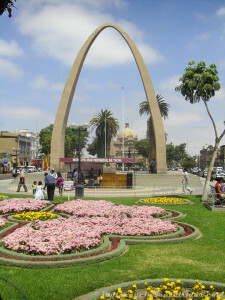 Not long after that whole border debacle I found myself in the sunny city of Arica. 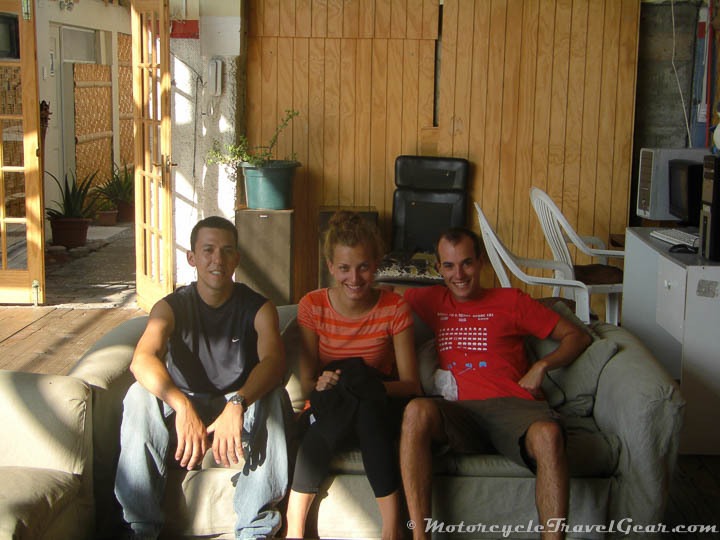 It took me a bit of going around in circles but I finally hit the Arica Surfhouse Hostel, a really simple but nice guesthouse that let me park my motorcycle in giant back patio. There were only a few people staying there but they were all very chill. Among them were Thomas and Nina, a German couple about to return home after living in Chile for a while, and some Brazilian surfers. One of them was really struggling to get his laptop’s microphone to work. It ended up being one of those baffling hardware errors that fixed itself the next day. Technology is fickle like that. 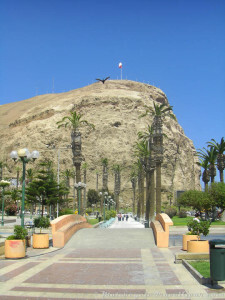 I spent just a couple of days there exploring the picturesque town and the historic Morro de Arica. Apart from that there wasn’t much going on due to it being the low season but I did have a very relaxing time just chilling at the hostel and cooking spaghetti (by the way, I have an awesome spaghetti-cooking story that I’ll save for another time). Had there been more people in the hostel or more fun activities in town I would have stayed another day but the call of the road proved to be greater and the morning of March 31st I was off once again. 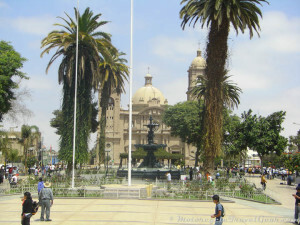 Destination: Iquique. I packed up my things, loaded my bike, and navigated my way out of the city towards the highway. 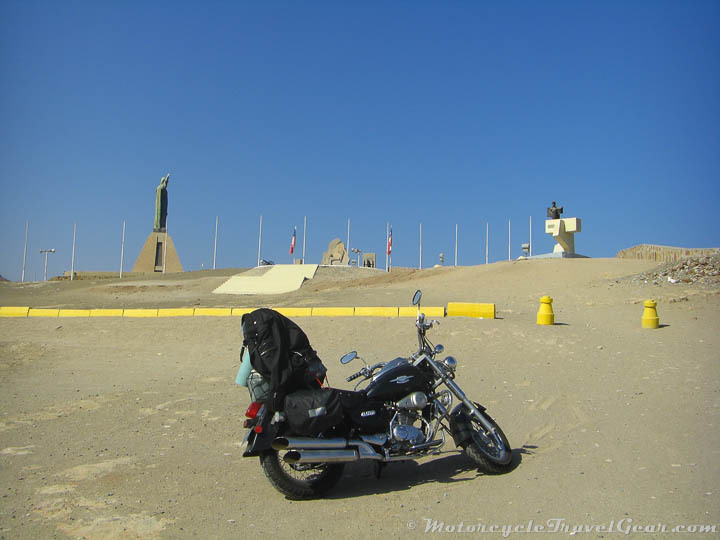 The rush of being back on the road must have messed up my sense of direction (which I consider to be top-notch) because after several kilometers of riding I realized that I was not heading south as I intended. 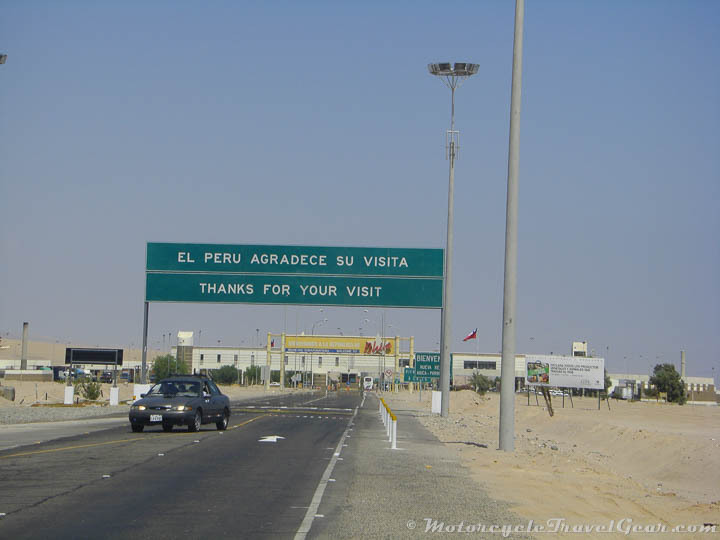 I mistakenly got on the road to Bolivia.